Mass Effect, created by BioWare, throws you into a very detailed new science fiction universe, on par with classic universes such as Star Wars, Star Trek or Babylon 5. Having mentioned those three, I believe Babylon 5 may have had the strongest influence on the game designers. However, BioWare’s universe still brings enough unique ideas to the table so as not to appear as a complete rip-off. The strongest point of Mass Effect is that BioWare has put massive attention on all the details which are required to make such a universe believable and immersive. The game introduces you to the future of humankind a few decades after interstellar travel has become possible. Humankind is still early in the process of finding its place in the galaxy, which – who would’ve though it? – is populated by many other sentient and space-faring species. These other species – Turians, Salarians and Asari as the most powerful among them – have already gone through their share of squabbles in the past, and subsequently came together on a Galactic Council on a giant space station named “The Citadel”, to solve their issues politically and diplomatically. In this context, humankind is the “new kid on the block”, not yet accepted by the old species, still trying to find their place in the universe. This setting should probably sound fairly familiar to all Babylon 5 afficionados… So, let’s come to the unique elements Mass Effect adds to the mix: Both the old species as well as humankind all owe this space-faring and space-stationary happiness completely to an ancient, now-extinct race named the Protheans, who left both The Citadel space station, as well as a network of inter-stellar travel relays connecting various civilised worlds throughout the galaxy. The rest of it is technical mumbo-jumbo, but in essence it means that all civilization is dependent on this ancient Prothean technology. In this setting, you assume the role of Commander Shepard, who can be either a male or female lead character. The storyline and dialogue is very cleverly created to serve both options. You are part of the military organization of humankind, which is named the Systems Alliance, and as part of this organisation you go on various missions to help increase the standing of humankind towards the Citadel’s council. An integral part of this is that humankind finally gets a place in the rank of the so-called “Spectres”, an elite unit serving the Citadel Council. Because of Commander Shepard’s heroic history, you get the chance to join these ranks and prove humandkind’s worthiness to join the Council. Throughout your journey as a prospective Spectre, you begin to discover the mysteries of the Protheans and their extinction, and are drawn into an enthralling story of betrayal centering around a Turian Spectre, and a much darker threat to the galaxy than anyone could have imagined. Luckily, unlike the previous screenshot you embark on this journey neither alone, nor helpless. You travel the galaxy with your own spaceship, the Normandy, and you make acquaintances with both humans and aliens who will join your crew. From a gameplay point of view, your story progress is structured by “missions” and “assignments” you can embark on; assignments are completely optional and simply allow you to increase your character’s abilities or earn more experience and money to afford better armory and weaponry. 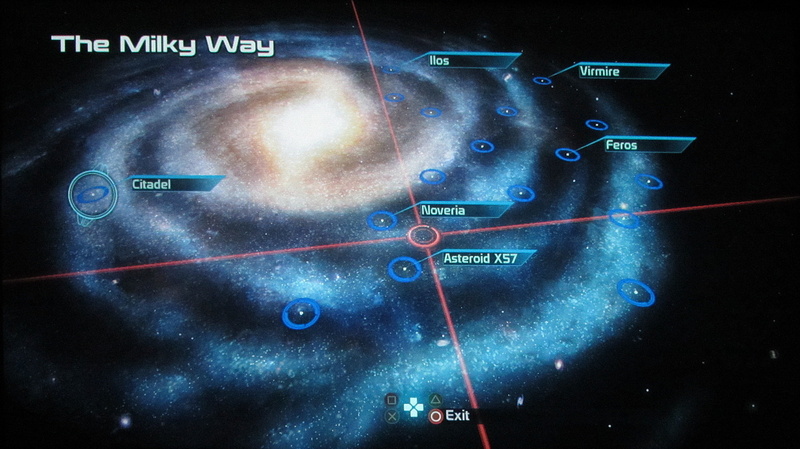 Assignments lead you into parts of the galaxy you would not have visited with only the main missions. On each of the missions and assignments, you can choose two crew members to accompany your squad, from a total of many more characters who join your ship crew. The two accompanying squad members are non-playable characters, but help you in combat. Some limited commands can be given to control them (such as stay behind or move to the front), but essentially they do what they want (and sometimes, due to technical glitches, even get stuck). 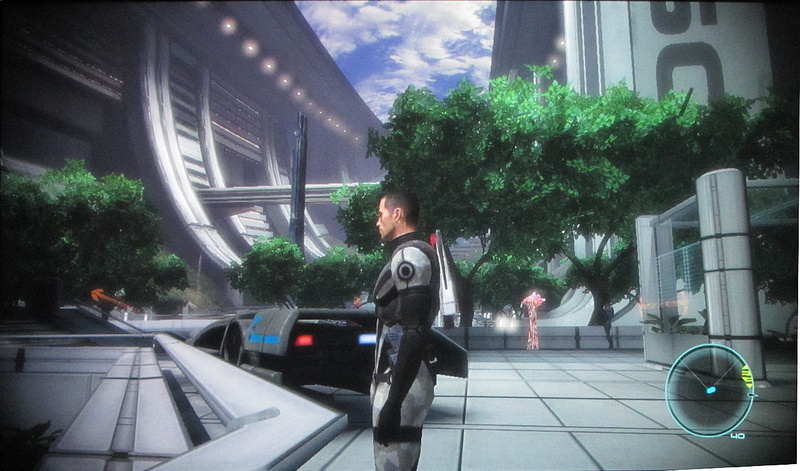 A central element of Mass Effect is that you can not only shape the physical appearance of your character, but through a decision on its background story – for example, war hero or sole survivor – and through moral decisions throughout the game’s dialogues, also the moral shape of your character. You can either decide to play for paragon by making “good/moral” choices, or to play for rogue, with “tough/bad/evil”-type choices. 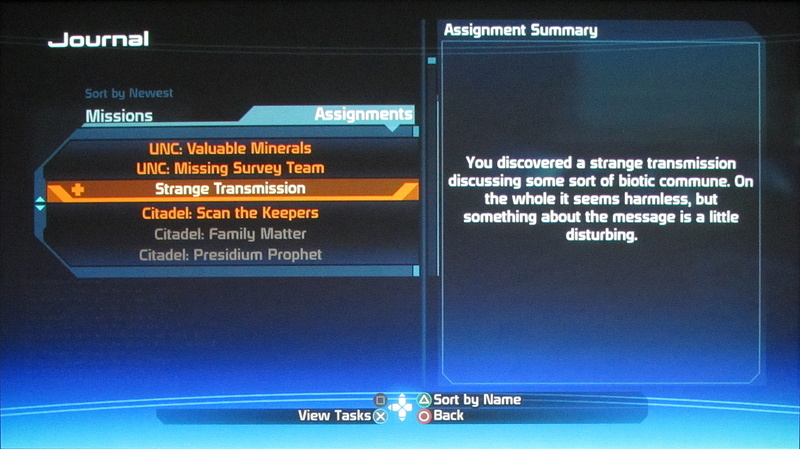 Depending on how you develop your character, certain story elements can unfold in different directions, as the following example shows in a dialogue with a Hanar preacher (who are jellyfish-like aliens). 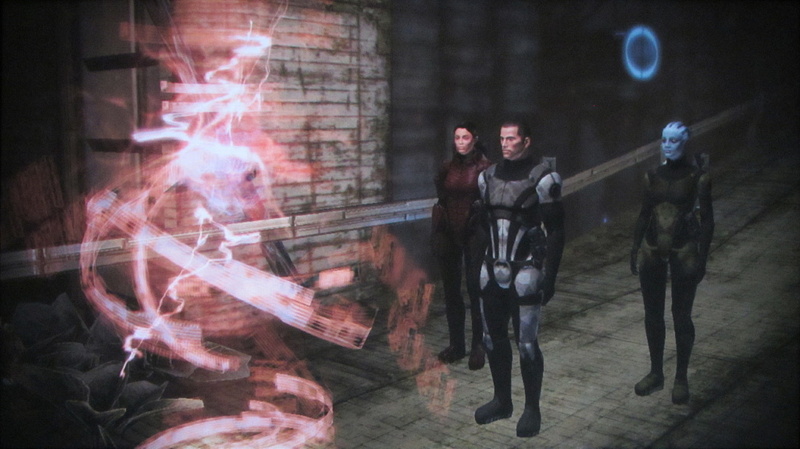 For Commander Shepard, the class can be chosen at the very beginning and cannot be changed afterwards; however, due to the fact that always two other squad members join the missions/assignments, it is ensured that always a right mix of skills is available to complete them, regardless of the initial choice. The game time is split around 50:50 with exploratory, character and story development activity on the one hand, and with planetary combat on the other hand. Some missions and assignments are not on foot – some of them require the use of the Normandy’s Mako, which is a planetary armored and armed vehicle you then take control of. To survive the on-foot combat scenes, it is essential to keep your armor and weaponry up-to-date; for this, throughout the galaxy many shops will gladly take your credits – or you can explore the various locations and plunder them using your special skills, for example electronics skills to unlock storage crates. However, because it was only slightly missed, and because I seem to be a very slow player (most other game reviews attest a playing duration of 15-20 hours), I could not help but feature it. 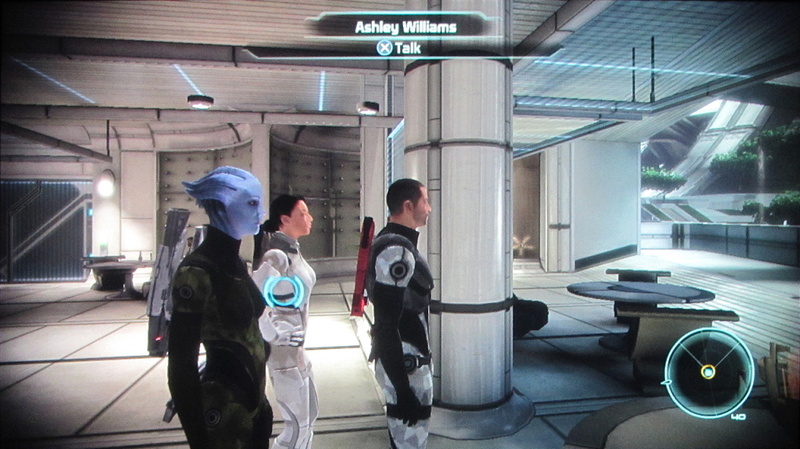 Mass Effect really spans a vast universe in front of you, which I disappeared into probably longer than I should have. I have read and listened to almost every database entry, and I wandered around on the Citadel and the other nice planetary locations much longer than I probably should have, just to enjoy the views and the music. I can whole-heartedly recommend playing Mass Effect to any science fiction fan, particularily if they liked Babylon 5. 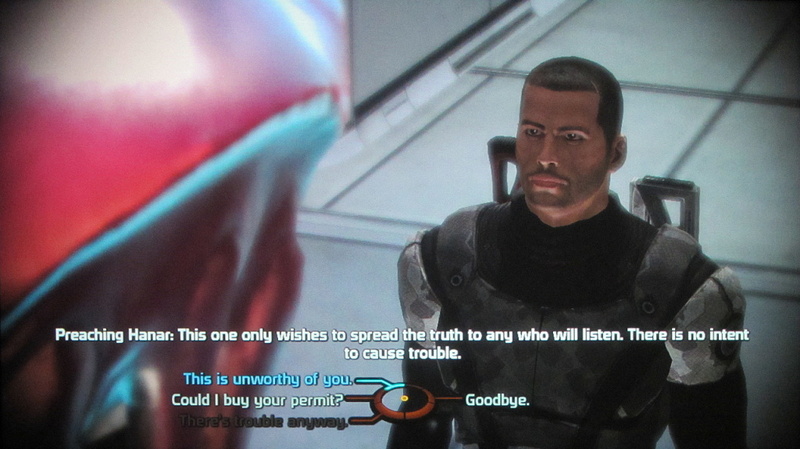 However, I must warn you: Though the story-line of Mass Effect is concluded at the end of the game, be aware that there are two other games waiting to expand the story arc revolving around the Protheans and the Reapers – Mass Effect 2 (2010) and Mass Effect 3 (2012), concluding the Prothean/Reaper story arc. As of November 2014, reports indicate that the Mass Effect universe will return with new games. So, if you play the first game, chances are not nil that you will be drawn into this universe completely and spend much more than 25 hours in it. 2H+ X – The game state can be saved frequently, so it is easy to play it in small portions. -25H (X) – Depends… Mass Effect almost missed this criterion… See review for details! Story X – You do play Mass Effect for the epic science-fiction story, co-experiencing mankind's first steps in galactical politics, and explore the mysteries of the Prothean past which enables all of this. Though the story of Mass Effect is concluded at the end, it is made clear that it is part of a bigger story arc, continued to be told in Mass Effect's successive games Mass Effect 2 and 3 – so if you played the first one, be prepared to play the second and third one as well. Social O – Being a one-player game, there is nothing much social about it. Metacritic O – MobyRank scores of 90 (CVG Computer and Videogames), and 70 (Edge) are reported, so Mass Effect misses the target set for this criterion. Longevity X – The Mass Effect brand is still alive, with new games released after 2007, notably Mass Effect 2 and Mass Effect 3, concluding the first trilogy. 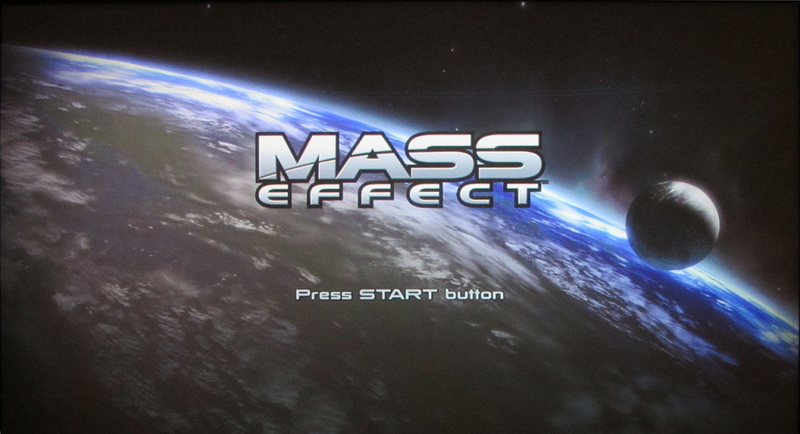 Spin-offs for mobile devices and handheld consoles have been developed as well, and as of November 2014, reports of new games set in the Mass Effect universe promise continued health to the brand.